Saturday morning saw the 35th Delamere Park Run 5k with Helsby’s Carol Shaw first home for the club and 2nd lady overall and Kevin Smallwood taking the honours for the men as well as a new PB. 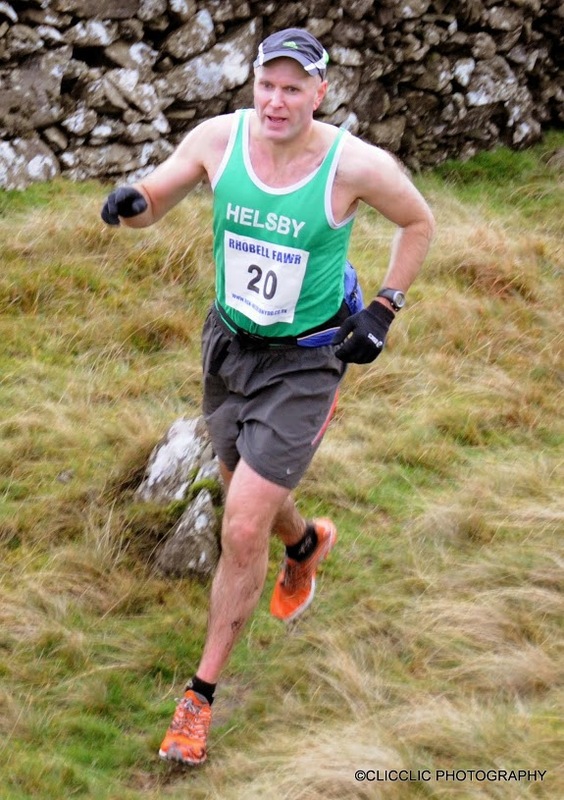 Saturday noon was the Rhobell Fawr Fell Race near Dollgellau, an out and back 6 miler run with 1900ft ascent. You can follow the wall for easier navigation on the climb up but it’s not necessarily the optimum route, especially coming down. This is a gorgeous area to run and interesting in that it is an extinct volcano. Conditions were muddy underfoot as photos show but a brilliant low key fell race, definitely one to try. Just watch out for the rocks and the wall, yes it is somehow possible not to see a wall when you are running! On Remembrance Sunday it was already the third race of the Cross Country season, this time being the Northwest XC at Beacon Park, near Skelmersdale. Well done for a good turnout of 17 Helsby runners. Helsby positions as below, no times recorded. First man home for Helsby with another amazing run was Colin Bishop with Jenny Illidge claiming the honours for the ladies. There were some very notable performances on the day so well done to everyone taking part and to all those offering support. Team Results are also below but please note that we are also teamed with Lymm & Warrington. Helsby Mens ‘A’ team were 5th and Helsby Mens ‘B’ Team were 4th on the day. Helsby Ladies ‘A’ team were 2nd and Helsby Ladies ‘B’ team showing our current strength in depth were 1st. This meant our combined team were 5th but after two races Helsby Mens ‘A’ team are currently 3rd and Helsby Ladies ‘A’ team are a fantastic joint first! The combined team after two races are third. The next Northwest XC is at Arrowe Park at the later time of 11.30am on Sunday 1st December. As always if I’ve missed any results for over the weekend please let me know as I can get them updated on the blog.